Ahh the poor hot dog. A classic backyard, summery dish (and a delicacy in New York), which has become subject to scrutiny over the last few years, and sexual innuendos at its expense. Encased meat has its place in every culture across the planet, but none quite like the New York hot dog, in my humble opinion. Sure, the quality of its contents is questionable, although that has significantly improved over the last few years (thanks FDA! ), but you can’t come to New York and not try its signature dish. We have your classic ball park dog or the more dubious “dirty water” dogs sold from street carts, but if you’re looking to up the level of creativity New York has a few joints you should hit. 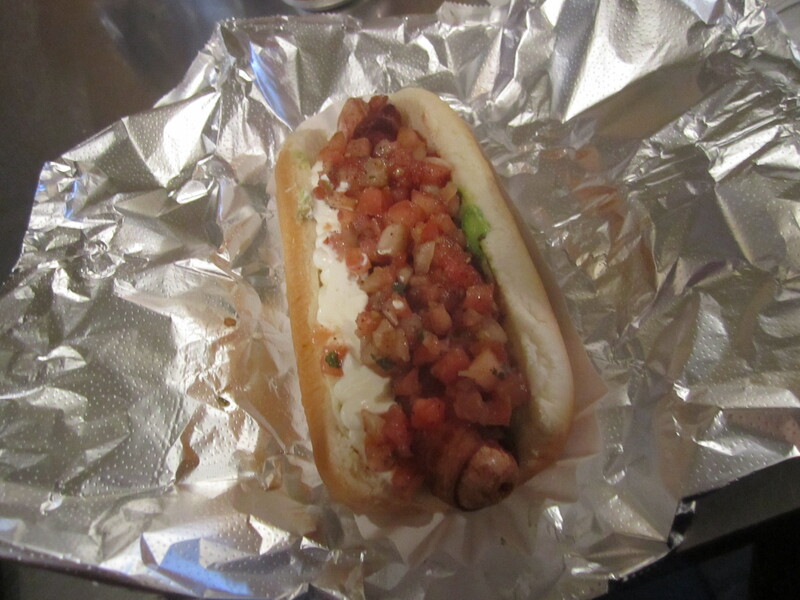 Everyone knows Crif Dogs, the best-known of the innovated dog joints in NYC. On St. Marks Place between First Avenue and Avenue A, conspicuously hidden behind a giant hot dog sign that says ‘Eat Me,’ this particular joint has been rolling out bacon-wrapped hot dogs with names like the Spicy Red Neck (bacon-wrapped with chili, cole slaw and jalapenos) and the Tsunami (bacon-wrapped with teriyaki, pineapple and green onions) for as long as I can remember. But the shops get weirder. Head further West on St. Marks between Second and Third avenues and you’ll hit Japadog. 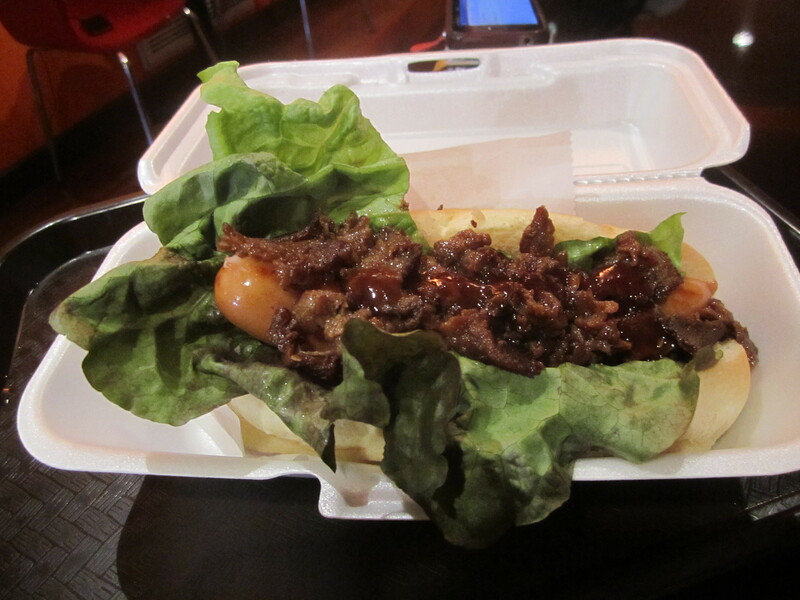 New to the hood, Japadog is a Japanese take on a hot dog. While the flavors didn’t speak to me quite as nicely as those at Crif Dogs, it is definitely an endeavor that shouldn’t be missed. I opted for the Yakiniku Rice dog (flavored rice and BBQ style beef on top of an arabiki sausage). Yeah, that’s a mouthful, but so delicious. A few friends tried the Terimayo dog (the signature hot dog with teriyaki sauce, mayo and seaweed). It was good…but better without the seaweed. Some things should not be touched. Asiadog is a third spot for lovers of tubular meat. To be honest, I have yet to go so you’ll have to just check it out for yourself, but my great foodie friend Lauren E. (of Lauren Food E. fame – so she’s legit!) has sampled Asiadog’s Sidney, a Thai-style dog with mango, cucumber, red onion, cilantro, crushed peanuts and fish sauce. Ohhh yes. Hope everyone had a lovely Memorial Day weekend. Now that summer in New York has (un)officially kicked off, feel free to relish in hot dog season (pun intended). Note: I am also a big fan of Bark in Park Slope, Brooklyn. It’s a bit of a trek, as it sits on Bergen and Flatbush Avenue, but after a bite of the Bacon Cheddar Dog, you’ll be calling the Slope your new home away from home. Hello all you little Copernicuses (Copernici?) out there. 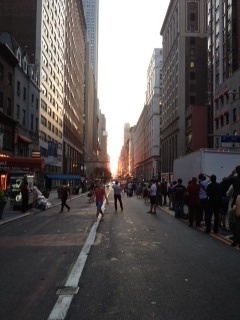 We are now officially one week out from Manhattanhenge 2012. What is this, you ask? 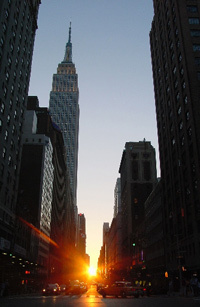 Manhattanhenge is a magical day that comes twice a year, when the setting sun aligns perfectly with the Manhattan street grid, bathing the streets in gold (and making a perfect Kodak moment for locals and visitors alike). According to the Hayden Planetarium site, for these two days, as the sun sets on the grid, half of the sun sits above and half below the horizon. The following two days, visitors will be able to see the entire sun on the horizon between the buildings. Tuesday, May 29 – 8:17 p.m.
Thursday, July 12 – 8:25 p.m.
Wednesday May 30 – 8:16 p.m.
Wednesday, July 11 – 8:24 p.m. 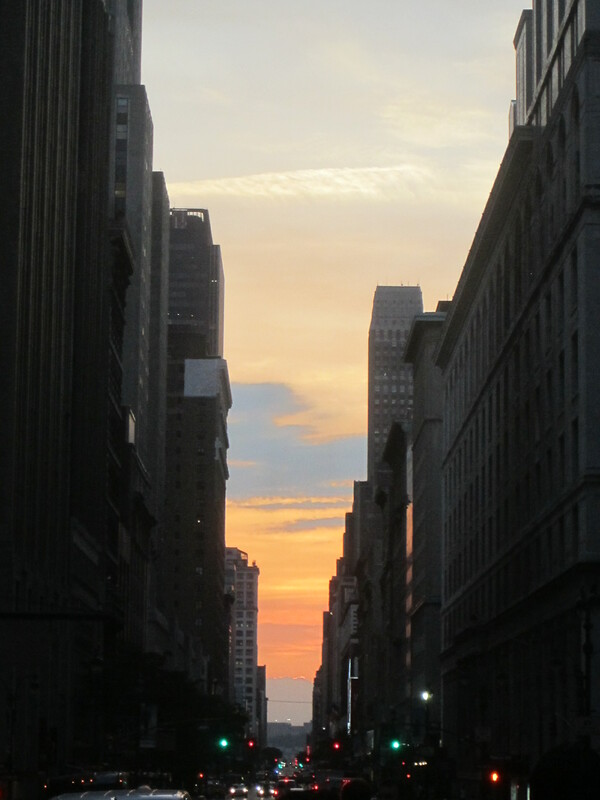 The best viewing spots include 14th, 23rd, 34th, 42nd and 57th streets. Be sure to get there a half hour early. Get out those astrolabes and other….astronomy related things. Ahh Murray Hill. You tricky little sonofab*tch. We all work near you, but you are the most obnoxious neighborhood in New York City in which to grab an after-work beverage. Murray Hill exists roughly between E 34 and 42 streets between Fifth and First avenues. I’ve said this before, but it draws a douchier type of person. That being said, I know of a little spot to where you can go for a quick drink after work on a weeknight and not be bombarded (for the most part) by hordes of guys and gals who haven’t realized that college is over. This bar isn’t new and it isn’t particularly gimmicky. It’s just a good bar. Allow me to introduce The Ginger Man. With 70 beers on tap and another 160 by the bottle, this is a brewer’s heaven. Add to that dark corners, a back living room and a creative twist on bar food, and this is a great spot to drop by with friends, or even alone with a book (as yours truly has been known to do). The menu changes seasonally, as does the beer, AND you can get beer to go. Note: The Ginger Man isn’t immune to douchebaggery. Don’t expect to go there at 6 p.m. on a Friday night and have a mellow time, but early on weeknights or on a Saturday afternoon you’ll be swimming in space and suds. 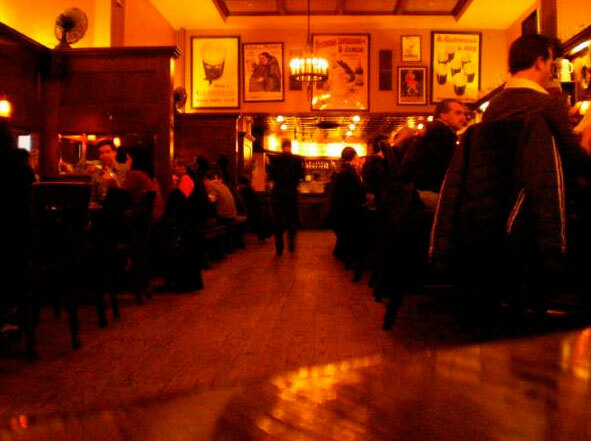 The Ginger Man is on E 36 Street between Fifth and Madison avenues. This post is long overdue, but no less savory. The day before I left on the Great Caribbean Escape, I was invited to attend Day 4 of the 2012 LUCKYRICE Festival, an annual coming together of hundreds of chefs and restaurants, bringing Asian culinary culture to North America. Translation: A room full of swank cosmopolitans chowing down on haute Asian cuisine, sakes, wines and beers. Second translation: Happy Meagan. Some of the restaurants showcasing their talents at this year’s Grand Feast were nahm, Perry Street, Buddakan and PUBLIC. 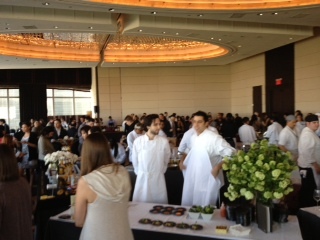 Celeb chefs on hand were Masaharu Morimoto, Ming Tsai, Todd English and others. It was the place to see and be seen eating. Don’t live in New York? Fret not. LUCKYRICE is coming to Las Vegas on June 23 and Los Angeles on August 10. For more information visit www.luckyrice.com. I need to apologize for the touch of melodrama yesterday. Sure, it was painful to be swollen from bug bites and sun stroke, but truthfully it doesn’t matter when you are looking at the ocean all day long. 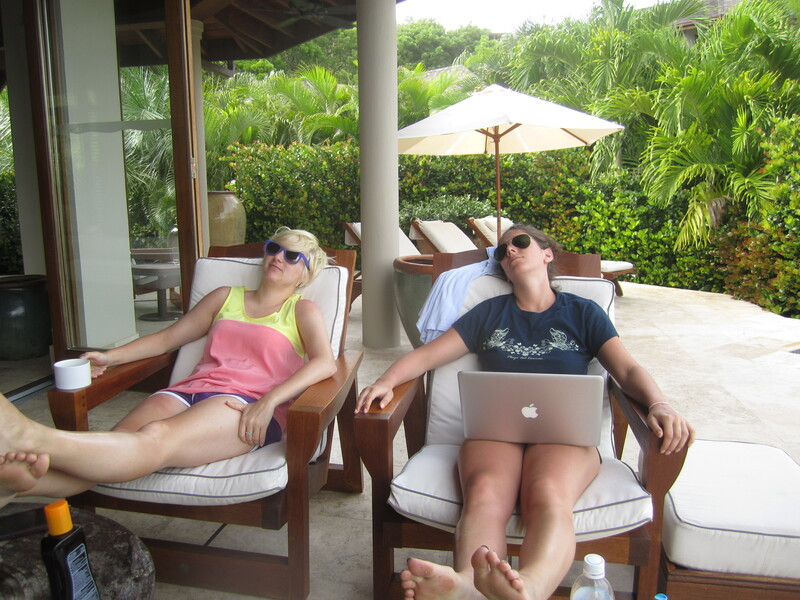 And so ends the great Caribbean adventure. It took a rickshaw, three boats (because the first two had to turn around due to technical difficulties), a Cessna, an A320 and a New York taxi cab to get me from Villa Aquamare to Villa Meagan, but it was worth it. There are approximately 3,500 residents on the island. Anyone who wants a job has one available to them, and almost every resident owns property. This is very different from many of the other Caribbean islands where high-end luxury sits adjacent to abject poverty, breeding resentment among the locals toward the tourists. The vibe is a bit different on Virgin Gorda because locals are instilled with a sense of pride and accomplishment, and there is far less of a clash between the haves and the have-nots. The island is the third largest in the BVI after Tortola and Anegada, and the rumor goes that Christopher Columbus named it Virgin Gorda (The Fat Virgin), because the island’s profile looks like a fat woman on her side. Five bleary-eyed, hungover, mosquito-feasted-upon, red throbbing piles sit around the pool this morning. You can put us in Frette linens with Bvlgari bath amenities and maid service twice a day, but the reality is we are a mess. When you look at the magazine spreads of the Caribbean you see perfectly sculpted, tan models sunning themselves while butlers serve them fruity drinks with umbrellas. What they don’t tell you is how damn strong the sun is and how your body becomes a full service buffet for thousands of bugs. We are in so much pain that we are praying for rain today just so we don’t feel guilty for holing up in our rooms hiding from the sun. Okay, maybe I’m exaggerating but I’ve been to four islands in eight days and I don’t think my body can take any more “paradise.” The bubbling sun blister on my arm speaks for itself. Give me takeout and DVR. NYC…I’m coming home. So did someone mention a five-bedroom villa? Why yes, I believe they did. I sit here from the couch at Villa #3 in the Villa Aquamare complex, a community of three five-bedroom villas all connected by gardens with direct access to the ocean. This ultra luxury enclave usually runs for about $20,000 per week in low season, and upwards of $50,000 per week during the holidays. 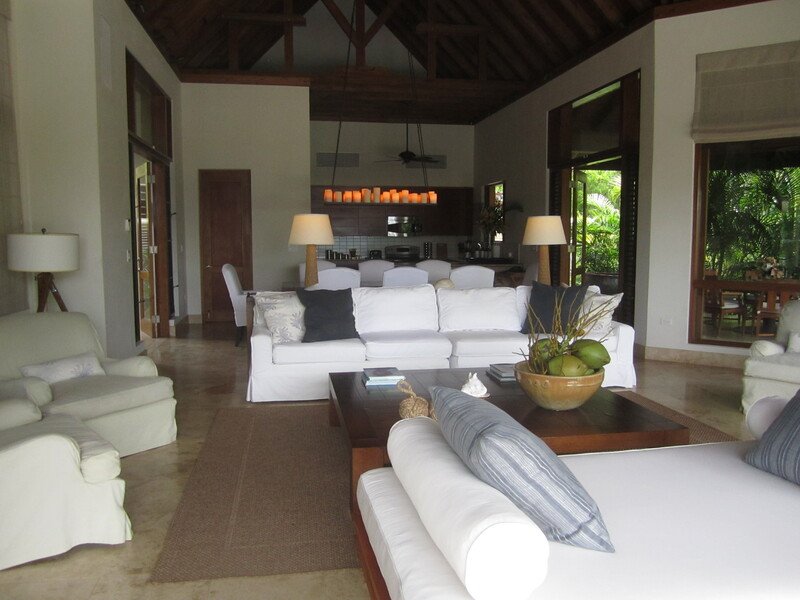 Each villa is 8,000 square feet with private pools, gourmet kitchen, outdoor showers and balconies. It’s not a bad place to be. Not at all. The British Virgin Islands are a collection of about 50-odd islands in the Caribbean Sea. 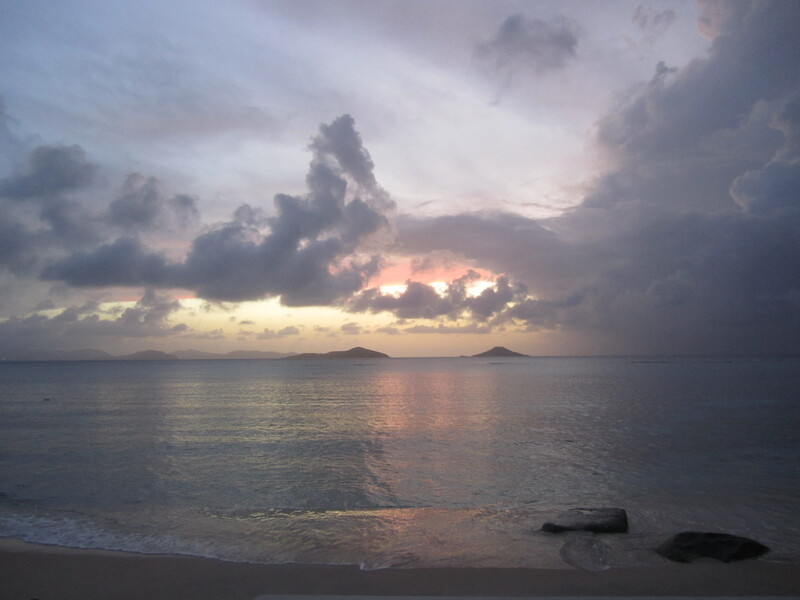 The largest four are Virgin Gorda, Tortola, Anegada and Jost Van Dyke. 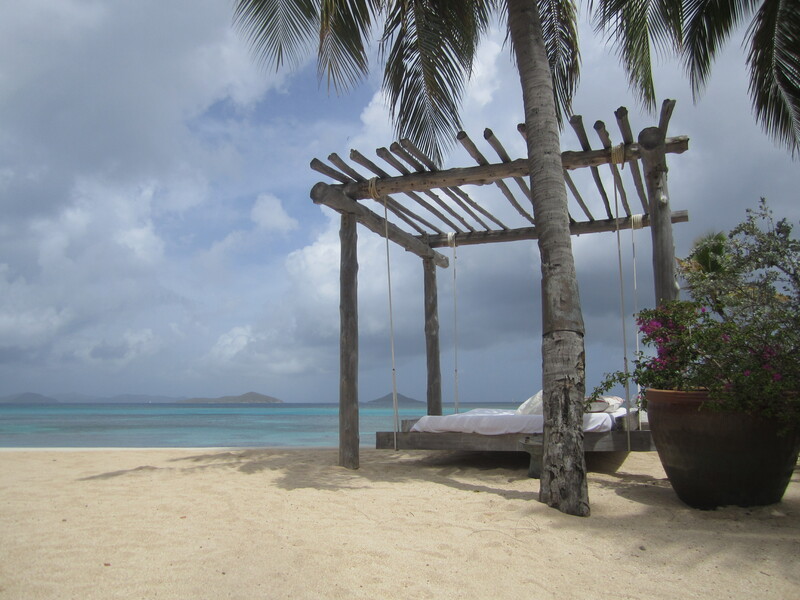 Some of you may have heard of Necker Island, as well, which is Richard Branson’s private estate. While the destination caters to mostly couples and families, we have quickly discovered that it is an amazing destination for a group of friends to travel to together. 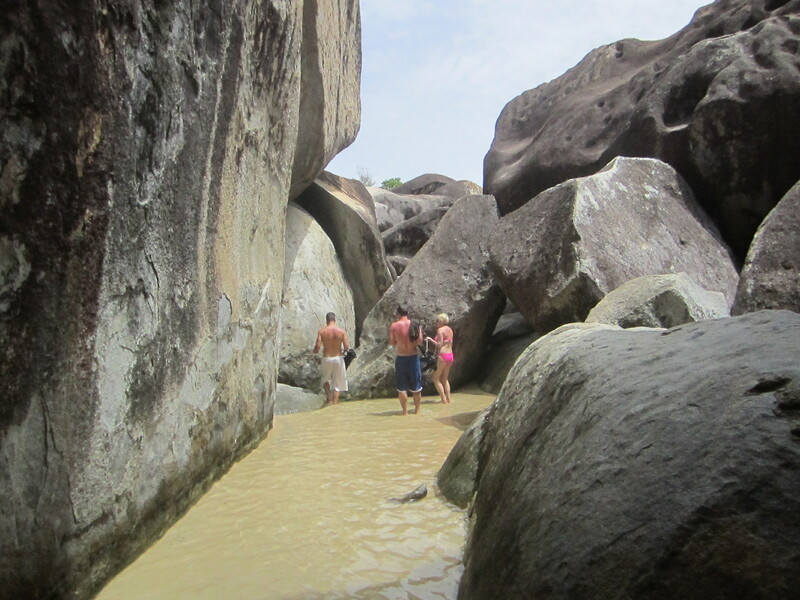 Aside from imbibing heavily, grilling steaks outside and napping in the beach cabana (and a touch of sun stroke or two), we managed to leave the estate to visit The Baths, a national park of beach caves and rock formations. Wriggling through small caverns to find hidden tide pools? What could be better? Last night we were treated to a private dinner of garlic shrimp, smoked salmon and home-made pecan pie, along with copious amounts of white wine. I never really considered myself to be a connoisseur of luxury, but after my earlier Alpine adventure and then this trip to paradise, it seems this could be a lifestyle I’m very much on board with. Just a day and a half left to soak it all up, but I don’t think anyone is ready for it to end.